Manufactured using a single copper conductor with low temperature, moisture resisting XLPE (cross-linked polyethylene) insulation. Southwire copper electrical wire for commercial and industrial electrical wiring projects. 10 AWG stranded wire with 19 strands . Used in conduit and cable trays for services, feeders, and branch circuits in commercial and industrial electrical wiring. Superior electrical cable with copper electrical wire for residential electrical wiring projects. 10 AWG Romex SIMpull NMD90 with Freeze Flex includes 3 copper conductors and one ground wire. Use it for electrical wiring of clothes dryers. Romex SIMpull features Southwires NoLube SIM technology which has revolutionized the way wire is pulled into conduit without any pulling lubricant, saving contractors both time and money. Romex SIMpull NMD90 electrical cable pulls 50% easier, is tear resistant, reduces burn-thru and strips easier. Freeze Flex gives you more pliability, easier stripping and added crack-resistance in cold weather. Southwire electrical cable with copper electrical wire. 14 AWG solid wire. Used in raceways (except cable troughs and ventilated flexible cableways), ceiling fixtures, dry or wet locations and open wiring exposed to weather. Southwire SIMpull electrical cable with copper electrical wire. 4/0 AWG solid wire. Used in raceways (except cable troughs and ventilated flexible cableways), ceiling fixtures, dry or wet locations and open wiring exposed to weather. SIMpull RW90 features Southwires NoLube SIM technology which has revolutionized the way wire is pulled into conduit It reduces installation time by an average of 30 percent in independent testing, and enables you to pull cable within allowable tension limits without applying pulling lubricant, saving you time and money. SIMpull RW90 copper electrical wire pulls 50% easier, is tear resistant, reduces burn-thru and strips easier. 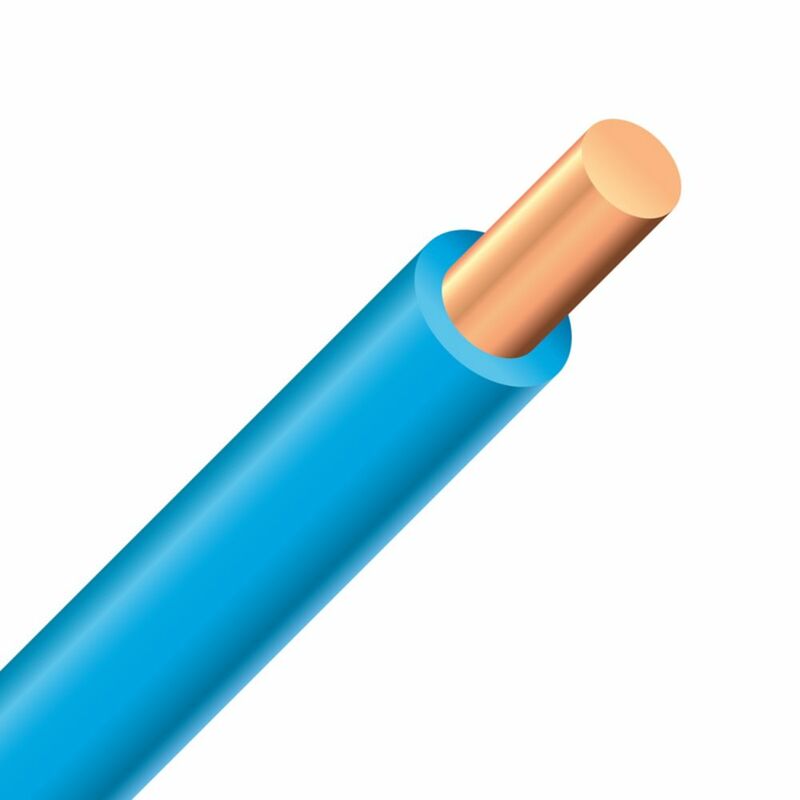 RW90 Copper Electrical Wire - 10 Solid Blue 300m Southwire's 10 AWG RW90 cable is designed for use in raceways (except cable troughs and ventilated flexible cableways), ceiling fixtures, dry or wet locations and open wiring exposed to weather.